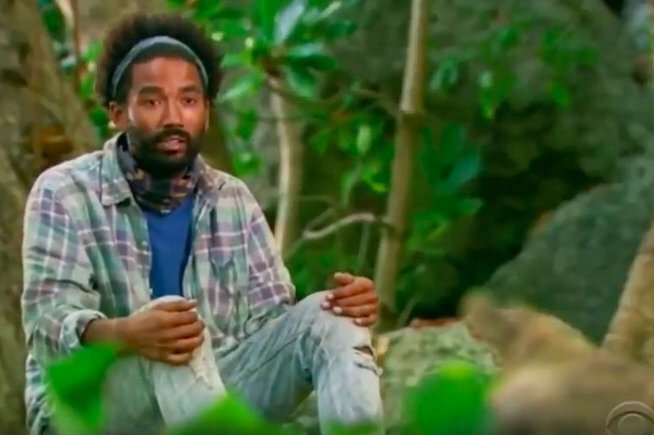 Wendell Holland on "Survivor: Ghost Island." Wendell Holland, a 33-year-old Philadelphia local who grew up in Ardmore, is the new victor of long-running reality show "Survivor." The show, now having just completed its 36th (!) season on CBS, aired the finale of "Survivor: Ghost Island" Wednesday night after the competition had dwindled to three final contestants: Holland, Domenick Abbate, and Laurel Johnson, who is from Cherry Hill, New Jersey. Despite being on air for 18 years, last night's finale was a first for the show: The tribal counsel, the ceremony that announces who has been eliminated and who has survived, ended in a tie when the 10-person jury voted evenly for Holland and Abbate. Take a look below. Previously eliminated cast members from the season comprise the voting jury. As soon as Johnson was eliminated, she had to cast the final vote that would decide the winner. Though she voted for Holland during filming months ago, the winner wasn't revealed until a live broadcast last night in Los Angeles, below. Holland, who previously worked in law, owns a furniture company, according to his CBS bio. With his $1 million winnings, Holland said he plans to pay off some of his student loan debt and find the best way to save or invest his money. Check out a Q&A about Holland's season, shortly after he was proclaimed the victor, below.